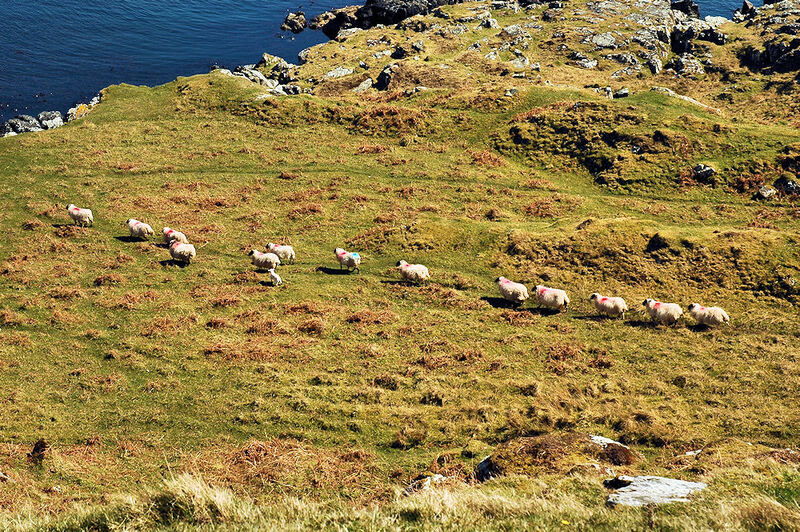 A good dozen sheep and a single lamb moving along a sheep track in the wilderness of the Oa in the south of Islay. This entry was posted in Landscape, Repost, Sunny Weather and tagged Islay, lamb, sheep, The Oa by Armin Grewe. Bookmark the permalink.